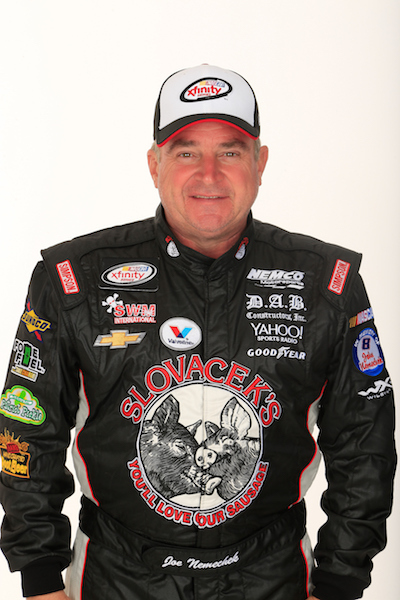 Veteran driver Joe Nemechek will compete in the NASCAR Xfinity Series season-opening PowerShares QQQ 300 at Daytona (Fla.) International Speedway on Saturday as driver of the No. 15 JD Motorsports Chevrolet. Nemechek has 34 Xfinity Series starts at Daytona, resulting in two wins. In all, the 1992 series champion has 429-career starts, resulting in 16 wins, 74 top-fives and 126 top-10 finishes. He made two Xfinity Series starts last year, both with JD Motorsports. Nemechek also is a four-time winner in the Monster Energy NASCAR Cup Series.